Admittedly, I’m less of a ‘do it yourselfer’ and more of a ‘find a pro to do it’. If a client has a question concerning paint, I turn to Corinne Courtney of Nailed It! Hardware in Washingtonville. The store also runs classes on chalk painting and crafts. I took a chalk paint class with Corinne. The hardest part was selecting a color as she can turn any paint color into chalk paint. The rest was easy. The kitchen counter takes a lot of abuse and per your article in the THR of 5/13, this faux soapstone countertop will hold up. Would it work for a bathroom countertop that takes more abuse? Love the soapstone look that chalk paint can create although I’m not so sure it is the best for a bathroom counter application. While there are many recipes for chalk paint, they all create an adhesion that does make it stick to just about anything. However, by adding the mixture you are also cutting down on its durability. 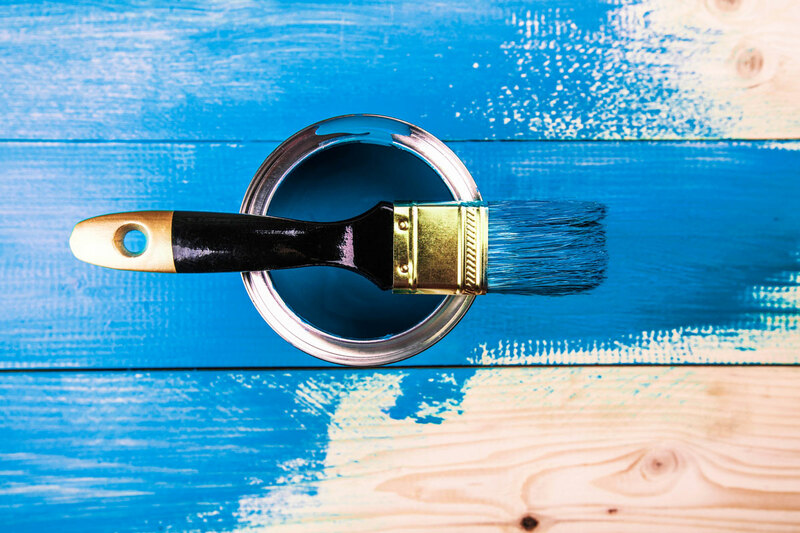 It is essential that Chalk paint get sealed for this reason. Wax is commonly used and is a natural product that will break down over time particularly considering the amount of water and wiping the bathroom goes through. Chalk paint is a very quick, easy and affordable way to transform just about any item to a different version of itself. It is especially popular given the eclectic styles that are popular today. Chalk paint went mainstream with the shabby chic phenomenon as the paint actually makes older pieces look like new old furniture. As you paint with chalk paint you will find that it easily sands off so it is natural to ‘age’ the piece by sanding at all the areas that would get worn over time. Chalk paint looks great with distressing and also looks good when kept solid. Holding up under abuse is not its strong suit. For a bathroom counter with heavy abuse, I would recommend doing a full repainting of the counter. It can be done just as easily as chalk paint. A different process, but if you know what products to use, it is also a quick, easy and affordable transformation. To do this we always use a strong bonding primer such as STIX and then a durable paint specifically for furniture and cabinetry. My go to product for this is Benjamin Moore’s Advance. By using the bonding primer and allowing that to cure over night no matter what the recoat says (time needed before you put on the next coat, in this case it would be the first coat of paint) you will create an adhesion that will also allow you to skip the endless sanding that usually comes with a job such as this. A good bonding primer will create the needed adhesion to the item being painted whether its tile, laminate or any other non porous surface and then allow the adhesion of the paint to the primer. Either way can be done rather easily today with excellent results. You need to take into consideration not only the look but also how the piece will be used to ensure the best job possible.